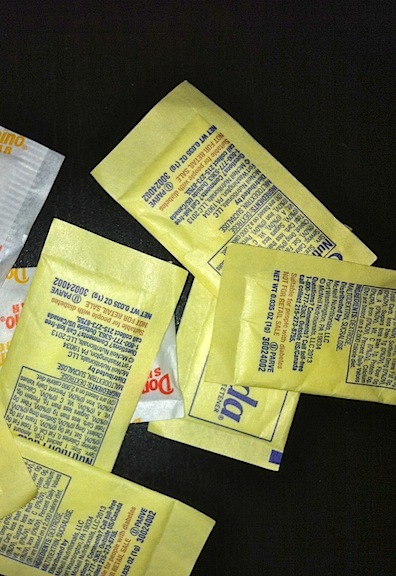 Bill's Blog: Could Artificial Sweeteners Promote Diabetes and Obesity? Elinav and colleagues then assessed the effect of long-term consumption of artificial sweeteners and increased weight, increased waist-to-hip ratio (an indicator of abdominal obesity), higher fasting blood glucose levels and increased glycosylated hemoglobin levels. The researchers note that artificial sweeteners were widely introduced into our diets to help reduce caloric intake and normalize blood glucose levels. But they say these findings indicate that they may be having the opposite effect. Until recently, the arguments against NAS were based on them being potential carcinogens. They have also been implicated in food sensitivity and allergic reactions for a large percentage of the population. However, most people have chosen to use these products because the perceived benefit was greater than the potential risk. Now the evidence indicates there is no benefit from these products, only health risks. The food industry is beginning to react to public complaints. Yogurt companies have started removing NAS from their products. Hopefully, other companies will follow suit. However, the momentum can only be built from public pressure. I wonder will we stand up and demand that these artificial chemicals be removed from our food. Until the average American understands that artificial sweeteners are making them fatter rather than skinny, don’t expect any real change. If the carcinogenic potential of these drugs didn’t keep you from using them, this should. You will not lose weight and you will not look better by using NAS. You are just rushing headlong toward obesity and diabetes.